Mastercard and Pick n Pay collaborate with FoodForward SA to donate more than one million meals! Mastercard, Pick n Pay and FoodForward SA have announced a close working collaboration that is committed to donating 1.2 million meals to South Africans in need through an initiative called Tap to Feed. Contactless payments, or ‘Tap & Go’, simply means tapping your card on any of the card readers at a Pick n Pay till point in all stores. It’s secure, convenient and fast, suited to processing traditional cash-based transactions. 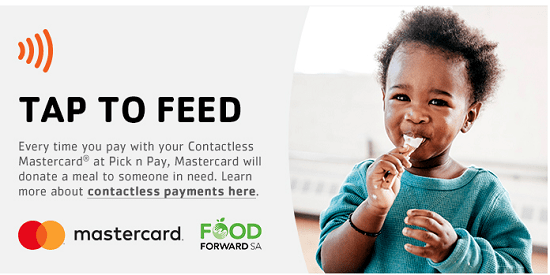 Between 7 May and 20 July 2018, every time a shopper makes a purchase with their Mastercard at a Pick n Pay store using the ‘Tap & Go’ contactless payment option, Mastercard will automatically donate a meal to FoodForward SA, at no extra cost or effort to shoppers. This initiative forms part of Mastercard’s global 100 Million Meals programme, which is the company’s commitment to reversing the spiral of poverty by eliminating hunger, driving inclusion, and enabling and empowering those in need. “Continuing our shared vision, we are combining our expertise in technology and digital innovation with that of our partners. In South Africa, we are collaborating with Pick n Pay and FoodForward SA, one of Pick n Pay’s key CSR partners, providing vital food assistance to vulnerable communities,” says Mark Elliott, division president, MasterCard South Africa. “We believe this collaboration with our customers and Mastercard will make a huge difference to thousands of and vulnerable families across the country. 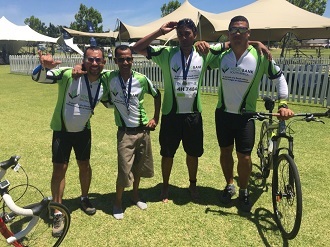 We understand there is a still a long road ahead to eradicate hunger in South Africa, but we believe that every action, no matter how small, can lead to something significant. And in this case, the action required is as small as choosing to tap your Mastercard rather than swiping it. 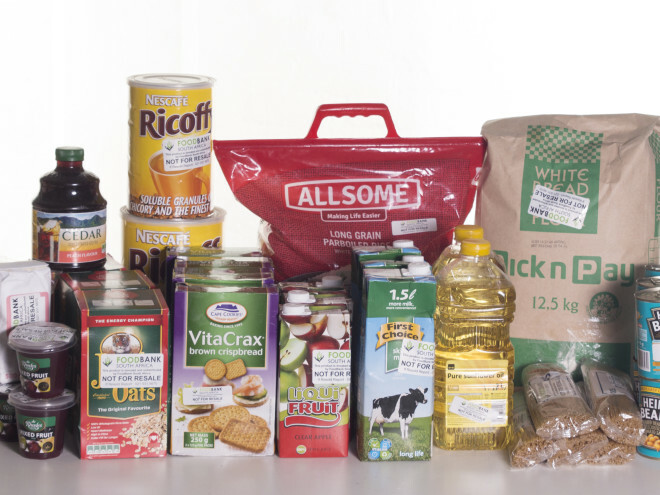 This great partnership between our customers and partners can make a significant contribution to a better South Africa,” says Pick n Pay Deputy CEO Richard van Rensburg. When the initiative concludes, the donated meals will be distributed to vulnerable women and children through FoodForward SA’s network of 600 Beneficiary Organisations. MasterCard employees will also be volunteering at the FoodForward SA Mandela Day Food Drive packing events in Johannesburg and Cape Town on Mandela Day, 18 July. Thank you so much to Food Forward SA and its partners for the contribution you make to the needy. My organization, Lethukukhanya Health Institute, based in Johannesburg, Gauteng province is fully behind all your initiatives.